January 18, 2015 – At 19:40 Station 1 was dispatched for Ladder 725 to 100 Chestnut Street, Hamburg Borough, Berks County for a working fire. Approximately 10 minutes later, the SHFD Rapid Intervention Team was also dispatched. Fire personnel from the Ladder arrived on scene and assisted with search and ventilation operations while RIT arrived, staged manpower, and conducted air monitoring. The SHFD was on scene for approximately 40 minutes until being released by Hamburg command. January 17, 2015 – At 14:14 Station 1 was dispatched to 198 Market Street, Auburn for a vehicle fire. 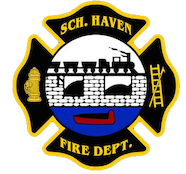 SCCC advised of a working vehicle fire — a bucket truck, with the person trapped in the bucket. As Ladder 725 was responding, Auburn command advised that the person had escaped the bucket and that Station 1 could be placed available. January 15, 2015 – At 07:09 Stations 1 & 2 were dispatched to the intersection of Haven and Becker Streets for an accident with no injuries and fluids down. Chief 735 arrived on the scene and was met with a two vehicle accident and 1 patient with a back injury. Chief 735 requested a medic unit to the scene as fire department personnel secured the vehicles and fluids. All units were then placed available. January 12, 2015 – At 14:46 Station 1 was dispatched for Rescue 727 along with Fire District 34 to 250 Front Street, Friendensburg for a vehicle accident with entrapment. Chief 34-01 arrived on scene and found a garbage truck on its side with no injuries but the driver confined inside. Crews from FD34 used a ladder to remove the uninjured patient. Rescue 727 was cancelled en-route. January 11, 2015 – At 13:58 the SHFD Dive Team was dispatched to Sweet Arrow Lake along with Fire District 21, for a person under the ice. As Chief 724 became en-route with Squad 734, SCCC advised of possibly 1 person under the ice by the waterfall. Fire personnel from District 21 arrived on scene and found that the person had self extricated safely from the lake. All SHFD Dive units were cancelled en-route. January 10, 2015 – At 13:43 Stations 1 & 4 were dispatched along with Fire Districts 41 and 34 to 59 South 2nd Street, the Cressona #1 Firehouse for an electrical fire inside. Chief 724 arrived on scene and reported heavy smoke inside of the building with no fire visible. Crews from Cressona arrived on scene and began searching for the source of the smoke. Engine 737 arrived at the A/B corner of the building while Wagon 736 established a water source from a hydrant located at Schuylkill and Front streets. Ladder 725 placed the aerial in-service on the A side. After a thorough search the source was determined to be a malfunctioning refrigeration unit. Chief 724 had command and all units were placed available after ejecting the smoke from the building. January 6, 2015 – At 07:38 Stations 1 & 2 were dispatched to the area of 300 East Liberty Street, (the Casket Factory) parking lot for a vehicle accident with unknown injuries. As Chief 723 became en-route, SCCC advised of a Jeep over an embankment. 735D was in the area and confirmed there was a Jeep over the embankment, laying on its side, but no injuries or fluids down. Chief 723 held the call to the fire police to assist with traffic control. Chief 723 cleared the scene after the vehicle was towed. January 4, 2015 – At 10:06 Stations 1 & 2 were dispatched to the area of 290 W. Adamsdale Road for a vehicle accident with injuries. As Chief 730 became en-route, SCCC advised of a vehicle into a pole, 1 injury with an airbag deployment, and possible live wires down. Crews arrived secured the scene, tended to the patient, and secured the vehicle. Icy conditions made operating at the scene more challenging than usual. Chief 730 had command and the roadway was closed by Fire Police for an extended period of time. January 2, 2015 – At 11:10 Ladder 725 was dispatched along with Fire Districts 56, 39, 42 and 47 to 139 Willow Road, Deer Lake for the report of a possible house fire. As all units became en-route, SCCC advised of garbage on fire inside of a residence. Chief 42-02 arrived on scene and found that the trash was removed by the homeowner. All units were then placed available. Chief 723 responded with Ladder 725. December 27, 2014 – At 15:12 the SHFD was dispatched to 255 Parkway Avenue (High-Rise) for an automatic fire alarm with a smoke condition on the 12th floor. Crews arrived on scene and found burnt food on the 3rd floor. Other crews checked the 12th floor and other floors below with thermal imagery cameras and found no issues. All units were then placed available.